PLEASE GO THROUGH THE PRESENTATION BELOW AND THE EXPLANATION FILE BEFORE YOU USE IMoS 1.09. THE INTERFACE IS OBSOLETE AND ONLY THE NON-INTERFACE VERSION SHOULD BE USED (WHICH IS ABOUT 1000 TIMES FASTER THAN THE INTERFACE). IF MORE HELP IS NEEDED , PLEASE EMAIL AUTHOR. MORE DETAILED HELP AND TOOLS ARE ON THE WAY. ParsIMoS is a free software (Apache open-source licensed) for high-throughput input conversion for theoretical CCS prediction calculations using IMoS. ParsIMoS allows for the rapid and efficient conversion of different MM, MD, and DFT calculation outputs into IMoS input files. ParsIMoS is especially thought out, with pre-encoded settings, for converting MobCal input and Gaussian output files to IMoS input files in its EXCEL format. ParsIMoS is capable of parsing multiple calculation outputs at the same time (with batch capability) to individual IMoS input files. It also allows converting outputs containing multiple structures (e.g. 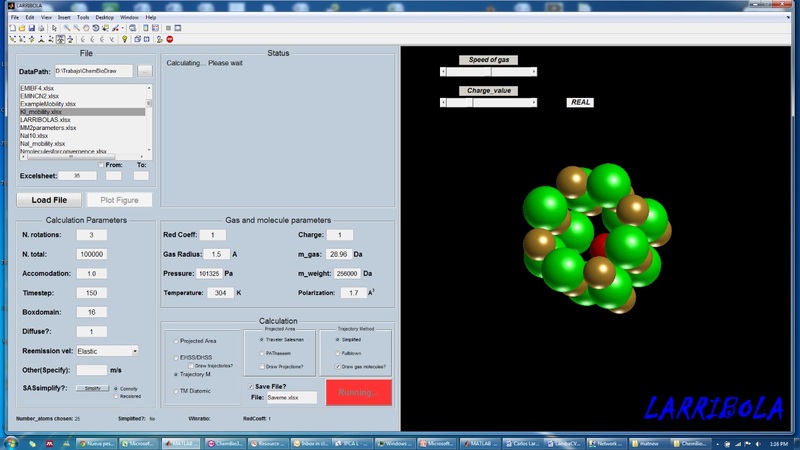 extracted from molecular dynamics simulations) into a single IMoS input file. ParsIMoS is coded as cross-platform software (.exe for Windows 64-bit, .app for MacOS and a Unix executable file) in Lazarus v.1.6.2 (Free Pascal) with graphical user interface. ParsIMoS is property of De Pauw’s Lab at University of Liège. Please visit their website for more details and ways to cite ParsIMoS.